Sheaffer Imperial VIII mechanical pencil from the 1950s. Black barrel with a lovely line patterned gold plated cap..9mm leads. Excellent condition, working well. Type Mechanical pencil, working well. Product Name Imperial VIII series. Filling System Takes 0.9mm leads which it extends via the traditional twist mechanism (you twist the cap). We'll include a small packet of extra leads. Color Black barrel with a gold lined pattern cap and gold plated trim. 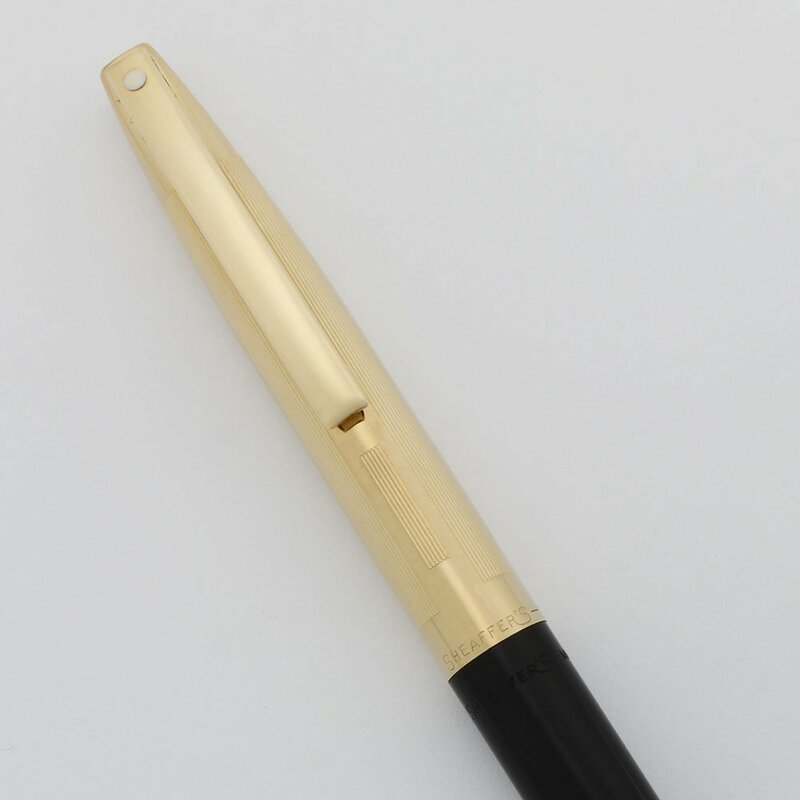 Condition Excellent condition for this pencil with an especially beautiful gold cap. No cracks or chips, dings, dents. There's a little plating wear on the tip of the clip. There are some light scratch marks on the cap, especially to the right of the clip. The barrel looks great. There is light scratching on the cone. There are no cracks, chips, dents, or plating wear. The imprints are clear.